Hey There Ramon Osa with ya here, and you may be pretty comfortable at the baseline hitting groundstrokes all day… and maybe you’re even starting to create some opportunities to move in, but you’re not taking them because you’re not confident in your net skills. First off, good for you for wanting to be at the net in the first place… you can create angles that you can’t at the baseline, having a great net game is key in doubles, and it’s where the action is. BUT ball is coming at you much quicker, and if you hesitate at all, that ball is going to either hit you on the nose, or your opponent is going to pass you for a winner, and begin laughing hysterically. No problem, gotcha covered because in this video, I’m going to show you the FIRST STEP in developing great volleys at the net. Now if you’ve ever had a lesson on the volley, you may have heard that you hit the volley with your feet. Although not entirely true, there’s definitely some value in that. at the end of the day, you have to get your racket on the ball… in other words, you have to use your hands. So in this drill we’re going to use nothing but your hands and maybe a little body movement. First, make sure you’re in a continental grip… because if you’re doing the old pan-handle grip… you’re a dead man. Second, in your ready position, cheat a little bit to your backhand side, it’s more comfortable, and as you’ll see your backhand is a little more versatile if you don’t have time to move your feet. Next have a partner toss balls softly at you, and, keeping your hands in front of your body… FIND A WAY to get your racket on the ball. Let me make a suggestion… hit as many backhands as you can. You’ll be able to adjust to your forehand if you need to. And the key here is practice these until you’re feeling comfortable. You got the old body lean out of the way… you’ve got this one where you kinda swipe it sideways… you’ve even got the old backhand on the forehand side trick. You’ll be surprised by how many balls you can creatively hit on your backhand side if you have the right grip, and you keep your hands in front of you. By the way, if you’re liking this, make sure to subscribe now, so you don’t miss next week’s lesson. From there, you can have your partner turn up the heat a bit, or go to the ball machine. Now you’re in a survival situation… you’re up at the net and you just have to somehow, someway get your racket on the ball. Clearly, there are more powerful positions to be in when you are hitting volleys, and I’ve made some of those videos and I’ll leave some of those links in the description if you’re interested. But this ability to get your racket head on the ball, in the right grip WITHOUT moving, will eliminate any fear you may have and give you the confidence to be up here at the net and hitting volleys where all the action is… and it’s something you can build on to develop some solid fundamentals at the net. So just to recap, if you want to feel confident at the net, get in a continental grip, keep your hands in front, and practice hitting the volleys WITHOUT moving your feet… it’ll make it that much easier when you move them. Thanks so much for watching this video, I had a great time Making it for you as I enjoy making every video for you. Do me a favor, if you liked this video, go ahead and click the like button, and let me know in the comments what your biggest challenge is so I can make a video and help ya out. Also, Federer’s back at it again at Wimbledon, and I made a video that reveals 5 of the secrets that allow him to hit the sweetest forehand of all time… These are 5 things that YOU can also do, even if you don’t run like a gazelle… and you can have that video totally free, just by clicking the link somewhere around here and entering your name and email address. Thanks again for watching, and I’ll see ya in the next one… bye! 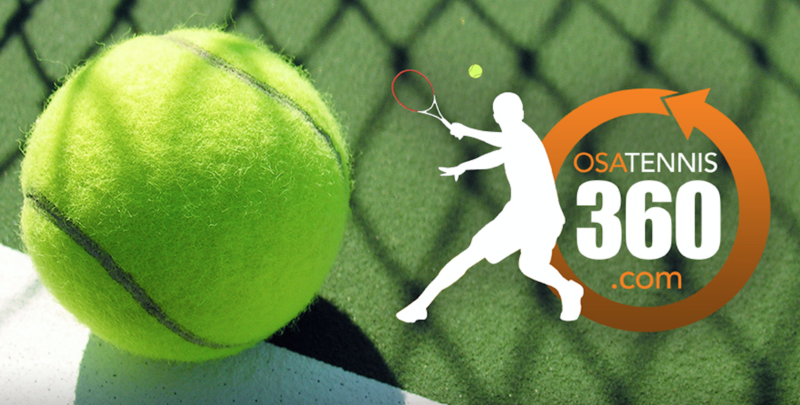 This entry was posted in Osa Tennis 360 HD Video Lessons (New subscribers) and tagged Tennis Volley, tennis volleys, Volley, volley technique, volleys. Bookmark the permalink.